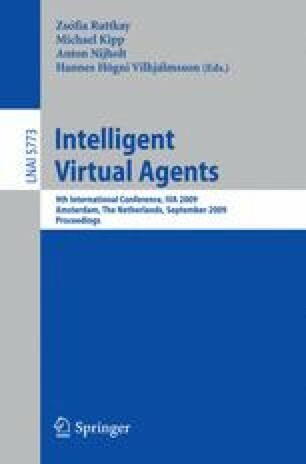 This paper describes the ORACLE, an embodied intelligent virtual agent designed and built for helping players of a serious game named ORIENT . The game challenges players at the socio-cultural level, because it requires them to learn how to interact smoothly with alien characters in order to save their planet. The ORACLE is a virtual agent on a mobile phone, whose goal is to enhance the users’ learning in the game. The agent can both react to the players’ questions, and proactively intervene for suggesting things to users or for commenting on their performance.